Yes, your parents' opinions really do matter in this case. Besides the fact that they're the ones who are going to be driving you to the corner CVS and buying the make-up, your parents can help you decide whether you are ready for make-up. If they disagree with you on this issue, they probably have a good reason. * Eye shadow: I like NYX brand's eye shadows because their colors are really intense. 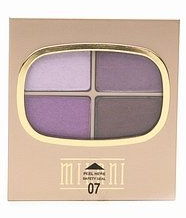 Milani also has an eye shadow quad palate designed for different eye colors. * Mascara (that's the stuff for your eyelashes): Mascara is a little trickier to put on, and you don't really need it, per se. If you want it, one really popular mascara is Maybelline Full 'N Soft. * Eyeliner: Eyeliner is also trickier to apply and rather dramatic looking. 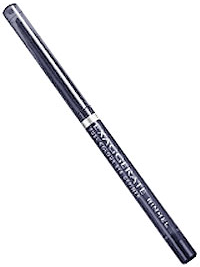 I don't recommend it for a first-timer, but I personally love it, and Rimmel's Exaggerate eyeliner rocks! * Concealer: Concealer covers blemishes, and should be a bit lighter than your skin tone. Different brands are better for different skin tones and types, so just experiment for yourself. * Other products include blush, bronzer, eye pencil, highlighter, and powder. A young person doesn't need so much stuff, but if you like the dramatic look, go for it. Lastly, while not exactly makeup, having a good moisturizer and make-up remover are also important. Practice, Practice, Practice. After you have all your make-up, play with it in front of the mirror. Everyone's face is different, so only you can figure out what works for your face. If you need some help, and your elders are willing to give it to you, great. For the rest of us, try YouTube or the blogosphere. Good luck, have fun, and stay beautiful!